I have finished reading Book One of the Law of One and will make some comments. Anyway, this is some of the most interesting trance channeled material I have read, even better than the Seth material. It is similar in quality to that brought forth by Delores Cannon. The source and process was somewhat different though. The RA and the Seth material accessed just one entity each, while Delores accessed many past lives and the higher consciousness of many subjects. The problem with trance channeled material is that it bypasses the mind. The mind goes to sleep as it does when we dream and the communication takes place through the use of the astral, or the emotional body. Communication through mental telepathy by use of the conscious mind is more accurate than through the astral body as more distortion occurs in the astral body than the mind, though neither are perfect. 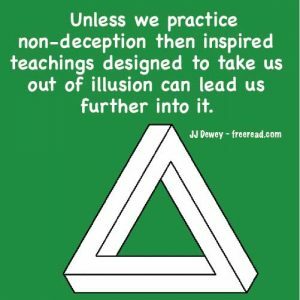 It is interesting, but true that RA identifies us as “distortions” of true reality and recognizes the difficulty in truly accurate communication from the higher planes to the lower. This harmonizes with my teaching that all physical creation occurs through energies being out of balance. As evidence of distortion you will notice that you will almost, without exception, find contradictory differences in the various trance channels, even the best of them. This takes us back to the prime directive of all my teachings which is this. No matter how high or valid you think the source is, even God himself, run all things by your own soul, as your true inner voice is your most reliable source. Even here the seeker can be wrong, and mistake the higher astral for the voice of the soul, but at least he is heading the right direction, and, once perfected, he will develop a high sense of discerning the true from the false. The problem for the seeker in sorting out truth when there is a lot of data involved is the language of the soul is the language of principles., The soul always leads the lower self toward the understanding of the principle behind things or why a certain idea is true. It is strong on the wisdom aspect. To accurately discern the truth of data, such as past history, would require the ability to access and accurately read the Akashic records – something which no mortal I know can do, though many claim this ability. That said, let us look at the Law of One with dispassion, just as we would any other channeled material, scriptures, Theosophical related works or any claimed inspiration. First, let me say that the material is a product of intelligence that exceeds normal human consciousness and as such contains much that is true. It is of a high enough grade that the seeker may be tempted to accept all that is said without question. To this one should never acquiesce. For me, there are certain writings to which I give a lot of weight, but I never let my guard down and always question anything that does not make sense or that does not register with my soul. That said, let me point out positive and negative aspects of RA’s The Law of One. We’ll start with the positive. (1) The source is a high grade of intelligence and the questions asked were also of high quality. When RA said something confusing the person asked for clarification, such as RA calling a solar system a galaxy. (2) It covers numerous mysteries to which many question, such as ancient history, the beginning of life, the pyramids, life on Mars and Venus, higher dimensions etc. RA gives credible answers on all these things. (3) RA gives very interesting explanations and comes up with instant information with very little hesitation. (4) Unlike most channeled material RA touches on a number of principles and expands on them. (5) He correctly identifies the core difference between the light and the dark side – the light being service to others and the dark being service to self. This is an important distinction. (6) The general direction of the teachings would lead the seeker toward love and service rather than to glamor and the implication of the ego. (7) Whether you accept the source as valid or not RA gives much material that is good food for thought and, when contemplated on, can lead the seeker to greater light. It is good material for seekers to read through the light of the soul. The RA material certainly gives one much to think about. I like the fact that it discusses concepts and ideas as well as the presentation of data. The soul can more easily guide the seeker in discovering truth behind principles, whereas the akashic records must be accessed or a revelation received to verify data. Even so, we can use our common sense and reasoning minds to get a general idea of how accurate the data is. Overall, I think the RA material is about as accurate as any of the trance channeled material out there, but, like anything else, one must run the teachings by his reasoning mind and soul. The first thing I do with any channeled or revealed material is to see how it registers with my soul. This material did not register as perfect but good enough that I was encouraged to read all the books and contemplate the material. The second thing I do is look to see if any specific predictions have been made and whether or not they have come true. This is sometimes difficult to ascertain as some writers go back and edit out false predictions once the date has past so it is always best to have the original material available. Fortunately, it does look like we have the original RA writings. The first RA book was written in 1981 and most channeled material around that time was predicting apocalyptic type events before the end of the millennium. Many were predicting a shift of the axis, great destruction, the coming of Christ, great earth changes – all kinds of things that did not happen. Many channelers were wrong not with just one prediction, but all of them. Wrong predictions, of course, do not mean all their other writings were wrong, but it does indeed signal that one must examine all other writings with a skeptical, or at least an analytical eye. The problem with predictions is that not even a master can predict all the details of the future. Higher lives can examine cycles and causes leading to the future and be quite accurate in many instances, but, because of free will cannot accurately tell us all details of future events. When some revelator therefore, gives a lot of specifics about future events, you can be pretty sure he is caught up in some illusion and there will be numerous flaws in his material. Smart prophets will write like Isaiah or Nostradamus where their writings lack specifics, but can be interpreted numerous different ways. Believers can never be proven wrong. RA was wise in that a number of times he avoided giving specifics about the future correctly pointing out that free will is at play. He was asked about future evens of the new millennium he indicated that there could be big earth changes around the turn of the century but was not specific. He did though give one specific prophesy. In 1981 he predicted that within 30 years the earth and its people would go through a harvesting and the people would shift from third density life to the fourth density. Now RA says there are a number of densities or dimensions in consciousness. He is a sixth density being, much higher in evolution than an ordinary human who is third density. Just to give you an idea of how far up the sixth density is he says that Jesus was a fifth density entity, an octave below himself. So, around the year of 2011 humanity was supposed to enter the fourth density. In this density the people of earth would understand the Law of One and live in oneness, peace, love and understanding. There would be many other changes. For instance, he indicated we would not use cars (called “heavy chemical vehicles”) to get from one place to another. As we approached 2011 believers in the RA material saw that as so close to the Mayan prediction of 2012 that many figured they were the one and the same. As I write this it is February 2019, significantly beyond either 2011 or 2012 and if anything we have moved away from love and unity as a civilization rather than entering a higher realm of peace and understanding. People are at each others throats in political disagreements as never before in my memory. The hard fact is that RA was just plain wrong any way you look at it and even if there is to be a future transition of some kind he significantly overestimated his ability to predict an event. This tells us that RA is most likely not an entity who is higher up the ladder than Jesus. In fact he was not even able to predict more accurately than myself. “A lot of the new agers are as bad as the Christians in that they are expecting the world to end, but they have an exact date of 2012. A lot of people think that the world is going to end, flying saucers are going to come down or something crazy is going to happen then. “This is merely the end of the Mayan calendar and some people think that because it is the end of the Mayan calendar – that means the end of the world. I think that it is just the last date the Mayans had on their calendar – that’s what I personally think. It’s actually going to be a fairly pivotal time – it’s between the two ages – just as we are entering the Aquarian Age. So, it could be a significant time, but its not going to be the end of the world. This was from a class at the 2007 Gathering. Back in 2007 everyone in the new age and metaphysical movements were predicting big changes in 2012, whereas I said 2012 would not be any more significant than 2011 or 2013. I am usually very cautious about making predictions because the future is so fluid, but there are some things I am intuitively very sure will not happen. Some people get upset when you tell them that their favorite predictions will not happen. Almost twenty years ago a fan of my writings wrote me and asked me why I was not preparing people for the arrival of Nibiru, the famous planet X that was supposed to bring on the Apocalypse. I told her that I wasn’t warning people about it because there was no planet X that was going to arrive in the foreseeable future. This statement did not harmonize with her belief system and I never heard from her again. Prophesy is impossible to get right 100% unless the key ingredients are under the control of the one making the prediction or strongly based on natural cycles or trends. There are only a handful of inspired writers that were able to score with 50% accuracy. If someone can be that accurate I will pay attention to his or her words. A lot of people claim to be quite accurate, but when you examine their original words and compare them with actual happenings we find that few can reach this 50% level. I have to give the RA material credit for being interesting reading. To its credit it does touch on some principles, but most of the material consists of data that is impossible to verify unless one has access to the Akashic records. One can, however apply the Principles of Discovery, that I have enumerated in the past, and sort out some things that are likely to be true or false. Predictions that have past their due date are the easiest ones to verify. By 2011-12 humanity was supposed to enter the fourth density where those remaining would be centered on love and have enhanced bodies that could teleport themselves and not need regular transportation. There would be such a change that the lifespan would be increased to a whopping 90,000 years. That obviously didn’t happen. I see that new RA material has been released in 2018. I have not read it yet but am sure they give a reason that the “harvest” to the fourth density has been delayed, or perhaps we did not correctly understand the process. One of the core teachings of RA is that life exists in eight different densities. This somewhat corresponds to the seven planes plus a synthesis as taught by the Ancient Wisdom, but with some differences. According to RA the first density is fire, wind, earth and water interacting to lay the foundation for life. The second density consists of plants and animals. The third density is the present human kingdom. The fourth density consists of beings of love and understanding who live in harmony. The fifth is higher light and wisdom. The sixth is a unification of love and wisdom and this is where RA’s confederation resides. The seventh is pretty much beyond words, but these beings are in total harmony with the creator. Finally, we have an eighth dimension or density which is assumed to be the first of a new octave of densities. We are told that there is a special governing council in this density living on the rings of Saturn. Though anything is possible that indeed sounds somewhat fanciful and from a creative imagination. The seven planes of the Ancient Wisdom are somewhat different. They are the physical, astral, metal, intuitional, Atmic (divine ideas), the originating monad and divine space. Corresponding to the eighth would be the cosmic physical. The ones with this high consciousness would be high beings such as the Ancient of Days who resides on earth in Shamballa or the Solar Logos and associates. The Logos of Saturn would have access to this high state, but it does seem odd to place him in the rings. RA goes through the seven colors of the spectrum and identifies them sequentially with the densities as well as the human centers. Thus he says the centers from the base of the spine upwards are related to red, orange, yellow, green, blue, indigo and violet. RA says the age of the Great Pyramid is 6000 years. Orthodox science estimates the age to be around 4500 years. On the other hand, Edgar Cayce says it was over 12,000 years old. Others put the age much older. This seems to be a subject that neither worldly or other worldly investigators can agree on. I could go on pointing out positive and negative points in the material, but believe I have given out enough so the investigator can check out the teachings for himself and make up his own mind. A final question that needs to be addressed is this. Who or what is RA and where does he really come from? There were three individuals involved who were Allen McCarty, Don Elkins, and Carla Rueckert and were good friends enjoying a common goal of higher contact. This union caused a blending of the energies of their Higher Selves. They were seeking contact through trance channeling which has to be done through the astral body. Their united desires created a thoughtform on the astral/desire plane. This thoughtform was not the Higher Self, but drew intelligence from it as well as information from the minds of the three individuals. RA was thus a created being composed of elements of reflected higher selves and the combined consciousness of the three individuals . RA said a number of times that he scanned the mind of the questioner. Indeed he had available the scanned minds of all three at any given moment plus some insights from higher realms. There are mistakes because RA’s consciousness could not exceed the combined consciousness of the three individuals who were drawing some intelligence from their combined higher selves. In closing I will give readers the advice I have given out many times. Study all teachings through the light of your own soul, even if you are sure they come from the highest possible source. Nothing will speak to you with more truth than your own Higher Self. If your inner voice rejects a teaching then put it aside. If it registers it as true then place that in the truth section of your mind. If you get nothing positive or negative then go with your common sense or put it on the shelf. The seeker who does not give up but continues will eventually find what he or she is looking for. “There were three individuals involved who were Allen McCarty, Don Elkins, and Carla Rueckert and were good friends enjoying a common goal of higher contact. This union caused a blending of the energies of their Higher Selves. They were seeking contact through trance channeling which has to be done through the astral body. Their united desires created a thoughtform on the astral/desire plane. This thoughtform was not the Higher Self, but drew intelligence from it as well as information from the minds of the three individuals. Don Elkins was the main initiator of the project and gathered together a triangle, a trinity, of individuals which produces a natural point of power when they are united. As they continued with the channeling they were said to be attacked from the to time by dark forces which appeared to culminate in 1984 when Don was struggling with them and decided to commit suicide to end it. After that, the medium, Carla Rueckert, lost contact with RA. Most channels are only dependent on themselves for spiritual contact, but this was different. That difference of a group channel caused material to come through that was higher than normal. Instead of working through one individual, the RA thoughtform had the minds of three individuals to scan as well as any information that could be accessed from things filtered down from their higher selves. The result was information that has a lot of truth, but has errors mixed in. The big one was the prediction that we would be harvested to the fourth density around 2011-12. An interesting contradiction occurs on the date of the Great Pyramid. In book one we are told that it was built 6,000 years ago, but then in book five a question was asked about it, while mentioning Edgar Cayce. In this case the date was 12,000 years ago which is in harmony with Cayce’s revelations. In this case a different date was given, most probably because RA scanned their minds and came up with the date given by Cayce. Overall, I will conclude this. The intelligence of RA is the combined intelligence of the three people involved plus contact of their higher selves that was able to be filtered through the astral plane. It will be profitable if read through the light of the soul, but if the reader accepts every word as divine truth then he or she will incorporate some error within the belief system.